Each kit includes 3 sets of Stereo Rooms Mics. Allen Sides is considered the recording industry's leading microphone expert and is an engineer/producer who has recorded over 500 albums, with stars in every genre. Artists include Green Day, Quincy Jones, Alanis Morrisette, Eric Clapton, Beck, Phil Collins, Aerosmith, Aretha Franklin, Foo Fighters, Sheryl Crow, Frank Sinatra, Faith Hill, Frank Zappa, Mary J Blige and Count Basie. Steven Miller is a pioneer in the field of digital audio. As a producer/engineer/arranger, he helped build Windham Hill Records from a tiny audiophile label into a prestigious industry leader. In addition, he co-founded both the Hip Pocket/Windham Hill Jazz and RCA/Novus labels. Platinum artists he has worked with include Dave Matthews Band, Suzanne Vega, Backstreet Boys, Pink, George Winston, Switchfoot, Manhattan Transfer, Toad The Wet Sprocket and Paula Cole. 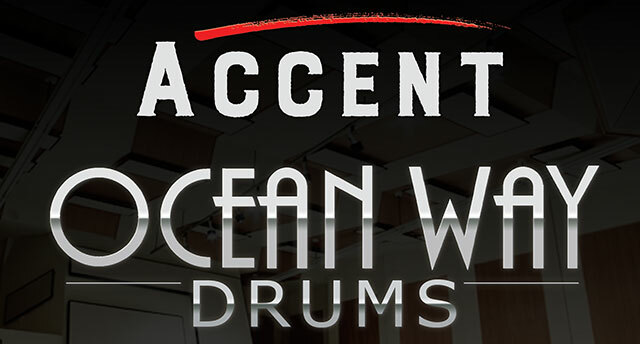 Albums recorded at Ocean Way sold over 1 billion units. Icons like the The Rolling Stones, Michael Jackson, Tom Petty and The Heartbreakers, and Madonna - plus contemporary stars like Dr. Dre, John Mayer, Kanye West, and Red Hot Chili Peppers all chose Ocean Way for its phenomenal sounding rooms, customized equipment, and access to the music industry's most famous collection of vintage tube microphones. 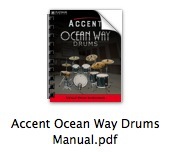 This library includes four full kits with Crash, Splash, China and Ride cymbals plus four bonus Kick and Snare drums. The Kicks and Toms were recorded with the snare strainer both on and off. Each snare drum is recorded with two microphone options: Shure SM57 and AKG C12A. All kits also include 3 sets of stereo room mics. Sides and Miller also created 6 "mix presets" per kit to instantly provide record quality. These mixes are continuously adjustable and range from completely dry to extremely ambient, utilizing the 3 sets of stereo room mics that reveal Studio B's thunderous acoustics. This product requires downloads in excess of 5GB.